As I walked through the kitchen area that was packed with various boxes and paraphernalia of a ‘closed for the winter’ National Trust property and was led up to the office area, I felt non-plussed as I made my way up the uneven stairs. I had my list of questions dutifully prepared the previous day and the office looked like any other busy workplace, so it was easy to concentrate on the task in hand. But all of that changed the moment I was given a privileged mini behind-the-scenes tour of Montacute House. The warning sign at the top of the Ham Hill stone staircase was a little late for me as I mis-stepped several of the uneven steps leading up to the Elizabethan Long Gallery, but then through the heavy studded wooden door was the famous Gallery and when they say it’s ‘long’, that is no understatement! The long stretch of hall makes you feel like you have entered a mini hangar and it’s hard to imagine why they would want such a roomy corridor, but the Elizabethan need of space provides an ideal backdrop to the collection of portraits on loan from the National Portrait Gallery. There’s a fascinating picture of Henry, King Charles II second brother; not so much the eyes as the right foot that follows you. You have to experience that to understand what I’m talking about! Then there is the ‘new’ section of the house, built in 1780 where they came across an original Elizabethan stone window. This led me to the Crimson Room with the bed made famous by the raunchy bed romps portrayed by Johnny Deppe in The Libertine no less! But by far the most touching and evocative part of my private tour was going into Lord Curzon’s rooms, in particular, his mistress Elinor Glyn’s own room. It was a small by comparison and the walls were festooned with brightly coloured birds of paradise that had been painstakingly created by hand. When I thought of the sheer joy she must have felt when she moved into Montacute House to be near her great love, Lord Curzon and to then be dealt the bitter blow of a lover’s deceit and dismissal when he became engaged to another, but failed to mention it to Elinor, she having seen the announcement in the papers; I felt as if she was still there in the room. Her grief and sorrow were still very much there in the room, the bright and cheerful birds were no match for her broken heart; I could feel a rush of emotions as I stood on the very spot she may herself have stood almost 100 years ago. Sadly the room is not yet open to the public, but my guide told me they hope to open it soon for everyone to see. So when they do, promise me you will go there and let me know what you think. This entry was posted in Family Days Out and tagged country house, Elinor Glyn, estate, gardens, Lord Curzon, Montacute House, National Trust, Somerset village. Bookmark the permalink. I almost feel shocked, but in a good way, to see your comments on lord Curzon’s rooms. I went to montacute house for the first time today with a friend and the minute I entered his room I was struck with head pains and nausea, which increased the length of time I was in there. I confided in my friend at the time, who then also picked up on the emotion of what she felt was a woman grieving. With a little research of what was on display in the room, we realised it was likely to be Elinor Glyn. At first I thought it could be a haunting, but now I feel it was more residual energy left from the experience. When looking at her portrait hung on the wall in that room, we noticed she has a very soulful expression, but also one of loss. I must admit the experience left us with wanting to research more. I stumbled across your message when searching online, and to my delight you have confirmed what we felt earlier. 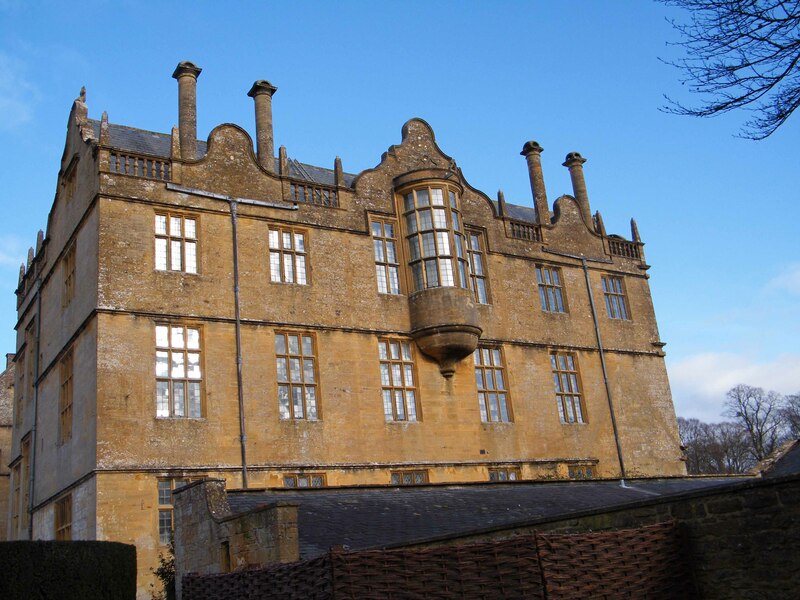 Another something to add about montacute, down the corridor on the first floor, where the compartment seated area by the window overlooking the west drive is, was another residual energy, pulling us towards the window. It was as though somebody was waiting by the window for someone to return. There was a feeling of anxiety and confusion relating to this. I would be interested to hear if you have any more experiences or information with regards to montacute. I am delighted you stumbled across my post, I remember this trip vividly, it was a huge privilege to see the rooms before they were open to the public, I somehow felt like I was stepping back in time but at the same time that I was intruding which made me feel uncomfortable, a bit like watching someone in distress but being unable to do anything about it. If the rooms are now open, I would be interested to return to them to see if the atmosphere has been diluted by the number of visitors who have tramped through her rooms. Sadly I do not have anything more I can add, my remit was quite restricted at the time as was the time allowed, but a return trip would have the benefit of allowing me more time. I genuinely believe such heartache and distress can remain long after the person has gone so I am not surprised by your comment. I will let you know should I come across anything else. Thank you Sophia, I would be intrigued to know more. I will try to visit again sometime too, when it’s quiet to see if I can pick up more. It is very difficult when you have many visitors coming and going, to be completely focused on the energy of the residence, without distraction. I’m sure you will enjoy your visit very much, when you return. Incidentally, one thing I was curious about and haven’t been able to ascertain yet, is lord Curzon’s pavilion. Would you know anything about why it was named after him? Hello Caroline, whilst I cannot answer your question about Lord Curzon’s pavilion at this moment, I thought you might be interested to hear I have been commissioned by Somerset Life to write an article about Elinor’s time at Montacute. So if anything should reveal itself to me over the coming weeks I will let you know! That’s really interesting you’re going to be writing about Elinor. I’m sure much will present itself to you about her stay. I would definitely be interested in finding out more, especially after having such an energetic connection. I know my friend (the lady I went to montacute with), felt a strong rapour with Elinor.